Brandon Jorgensen is one of those rare architects driven not just by personal achievements but also by ambitious, hard-to-reach goals. 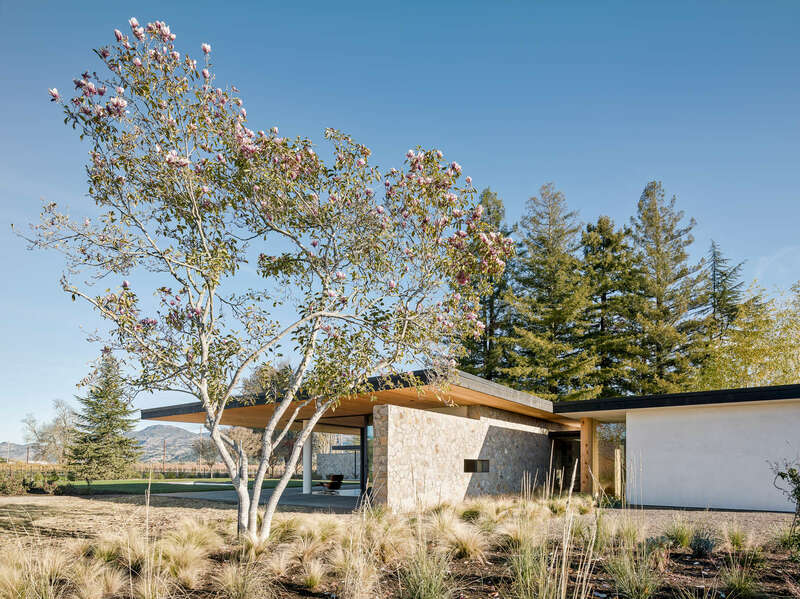 With his work, Jorgensen wants to make a positive impact on the environment, respecting and enhancing the landscape while creating functional living solutions for his clients. 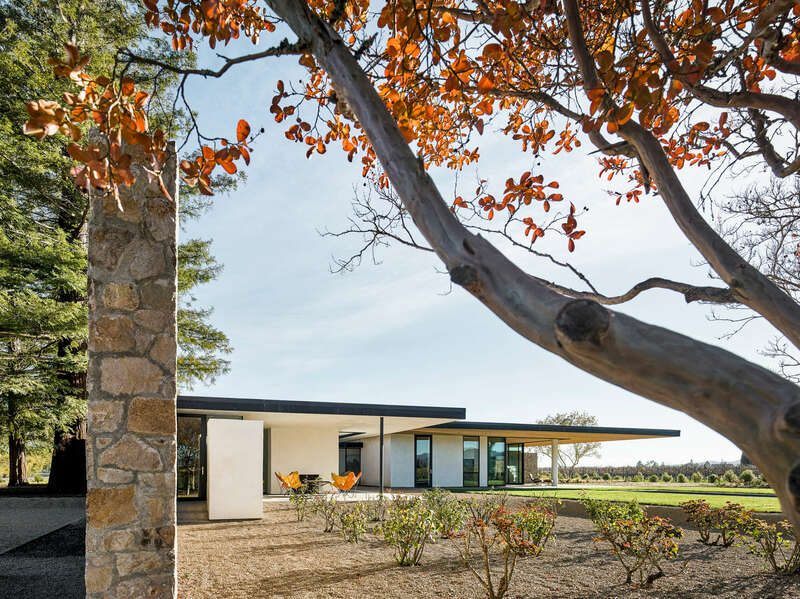 Today you can read more about his work and how the project for the Oak Knoll house evolved from restoration to an exciting new opportunity, for the architect as well as his clients. My father was a civil engineer in the Bay area. I spent a lot of time with him in the drafting room and then on construction sites. Seeing the connections between what he was drawing on his desk and what he was responsible for getting built was awe-inspiring to me. 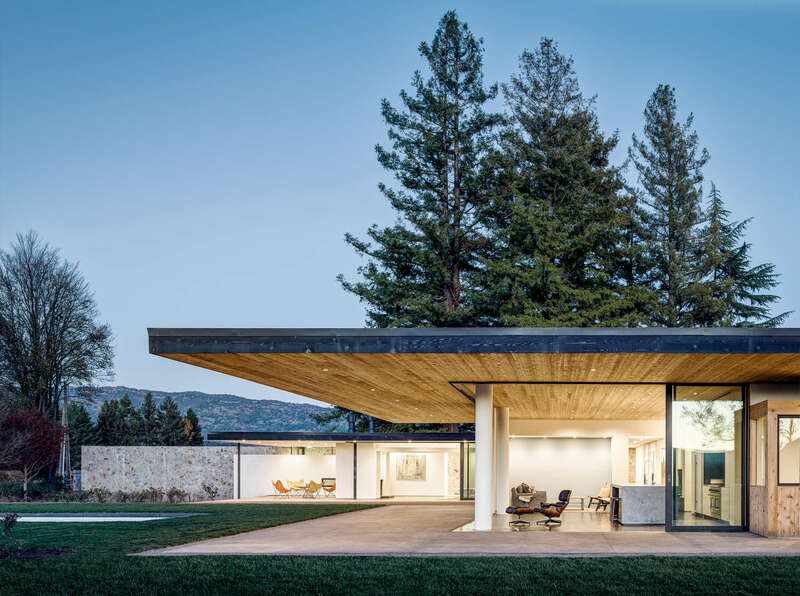 Also, as a kid, I used to build my own forts in the hills around Napa and started to realize that architecture can be a part of both the land we’re building on and also what we’re bringing to the table. 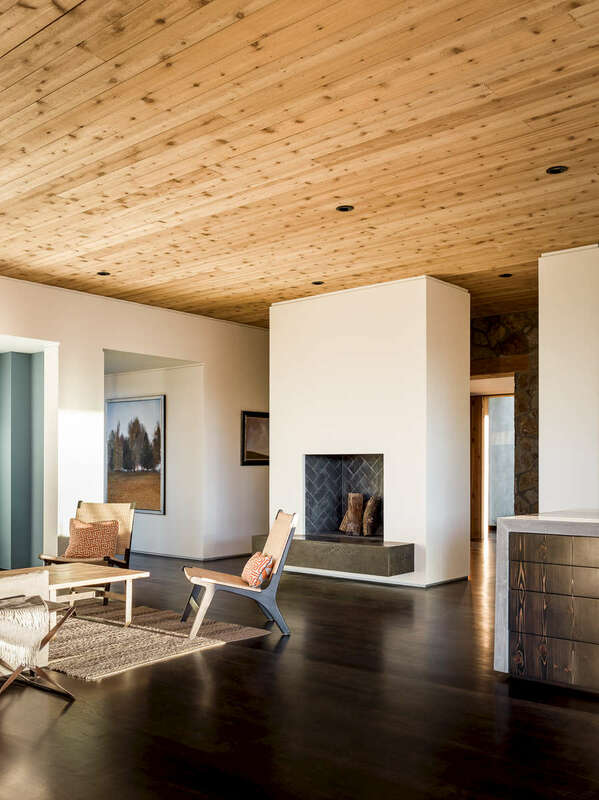 Every part is my favorite part, but I especially love coming to visit after the project is done and seeing the scuffs on the once-perfect floorboards, the new furniture arrangements, all the ways in which the clients have made a house their home. Can you tell us about the approach you had for this project and the first question you asked to yourself when you got the assignment? The question was: how to best provide a home for this specific couple? This project began as a remodel of an existing schoolhouse. We were going on a pretty safe direction. It was maybe smart, but wasn’t exciting or appealing to either myself or the clients. Thankfully (?) in the middle of the interior demolition, the entire structure collapsed. It was the last thing we were expecting, but it gave us a huge opportunity. Having a blank slate gave the owners an extra push; they asked me to design something totally different from what we’d been talking about. That’s when this design started taking shape. My design process is always iterative – a back and forth between computer modeling, hand sketching, site visits and conversations with the clients. Each iteration was a more refined answer to the original question. In your biography you say: “Jørgensen Design’s ideas emerge out of an intentional analysis of how life around us constantly evolves and changes”. How did you apply this principle to the project? I observe everything: how my clients live, how I interact with them, how they interact with their environment. I love cooking long lunches for a group of friends – and I can see how there’s both micro-evolution (the meat goes from raw to cooked) and also macro-evolution – the world changes around us and yet we still come together and break bread. I don’t work with a client until I’ve broken bread with them and intentionally analyzed how it is that they are in the world. What they’re excited by, what they’re afraid of. 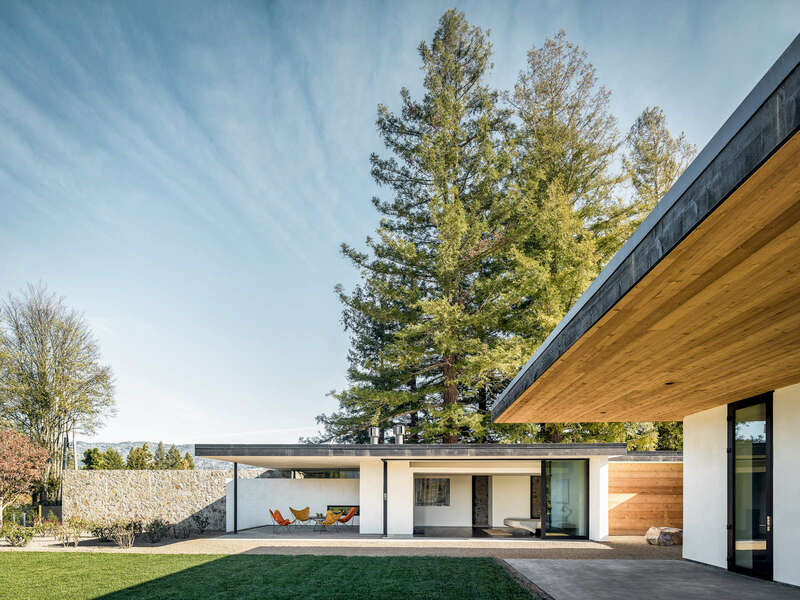 Your approach for the Oak Knoll Residence seems to follow closely Modernist principles. If correct, why did you choose this architectural style over another approach? I believe in Modernism as a theoretical idea, that the arrangement of shapes and materials and planes in space and on the ground can affect how people live. Modern architecture was supposed to make life easier and better for the people who lived in it. So, it’s not so much that I’m choosing a “style” as that this is my fundamental belief: architecture and good thoughtful design can change how people feel and live. In terms of these specific clients, it was the right fit for them. They’ve lived abroad, are worldly, have a very good art collection, custom furniture that’s timeless. In thinking about this house as a platform for their lives, something that will allow them to display art, entertain and live easily. I wanted the house to be the background. 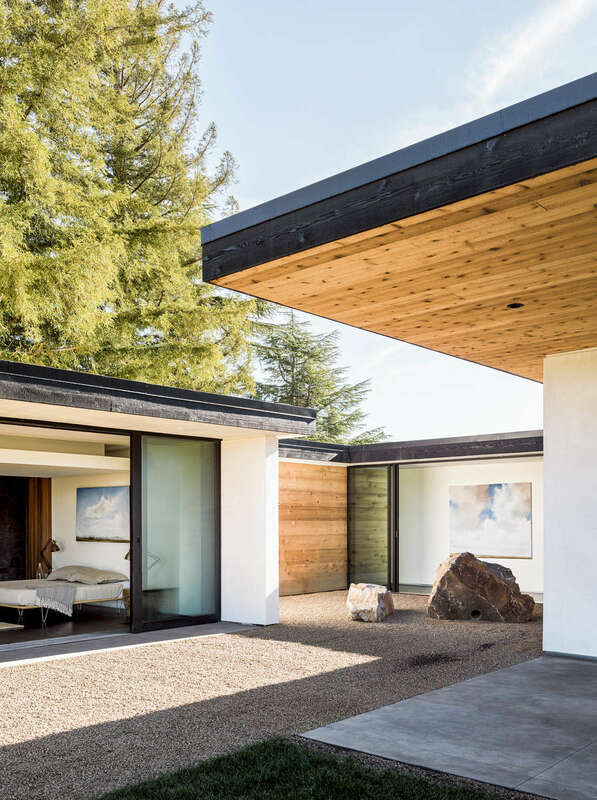 I blended my dedication to Modernist principles with using local materials and always emphasizing natural light and a direct connection to the outdoors, always. The Modernist principles still inspire many young architects, why do you think is that? I think it’s important to define what Modernist principles are. Growing up in California, I came to see that the environment, along with tradition, is incredibly important. There are distinctive ways in which we live here, in Napa. We’re very connected to the outdoors, we pay close attention to the environment, we understand the cycles of rain and drought in ways that more urban people don’t. I feel like every experience needs a platform, a bench from which we work, live, and engage with our environment. My job as a designer is to think about what that bench actually needs to be, and what I’m getting people ready for. Aesthetically, a clean and sophisticated formal approach invites openness to both our environment and our lives. Why do you think it’s important to continue producing houses/buildings that conform to Modernist design principles? I don’t necessarily agree with the importance being to conform to Modernist design principles. I’ve found that a Modernist approach tends to work for me, philosophically and theoretically, but in terms of form, an analysis of the clients and the site always needs to be the driver. I never put style first. Which are, in your opinion, the emerging trends in residential architecture that will shape our way of living in, let’s say, the next ten years and why? I think we’re heading towards a time of ‘trendlessness’. Designers need to understand the site, what our clients want, what they need, and what they desire but might not be able to articulate yet. We are trained very specifically, to analyze life, a site and then transform that into a built space. So, I think we should continue to do that. I’m heartened by what I see as a greater return to thinking clearly and creatively about landscape, site, and also, the fundamentals of life.